New for April 2014. Contributed by Terry. Thanks! 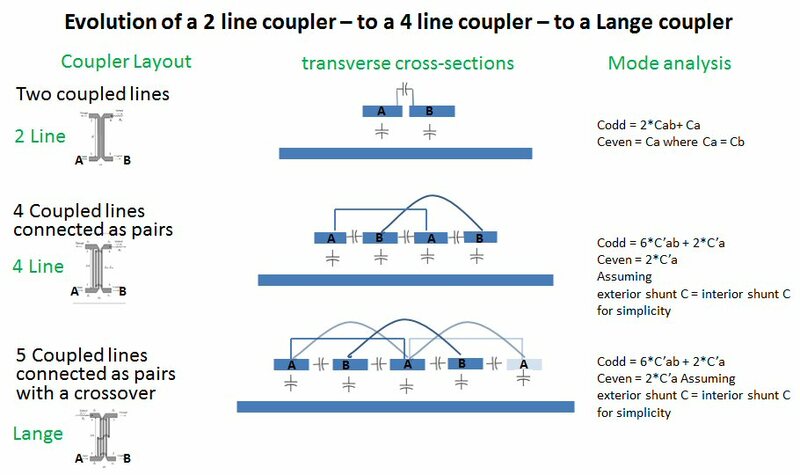 The four line coupler solved the problem associated with two-line edge couplers in microstrip, which is that to achieve the correct capacitance between the strips the gaps are too small to manufacture. The four-line coupler is a Waugh coupler but sometimes called a Waugh LeCombe coupler. Lange evolved the concept by splitting one of the four lines and moving half to the other side and reconnecting it. Therefore the Lange has inputs on one side and outputs on the other which is frequently an advantage (think about power combining amplifiers for example). 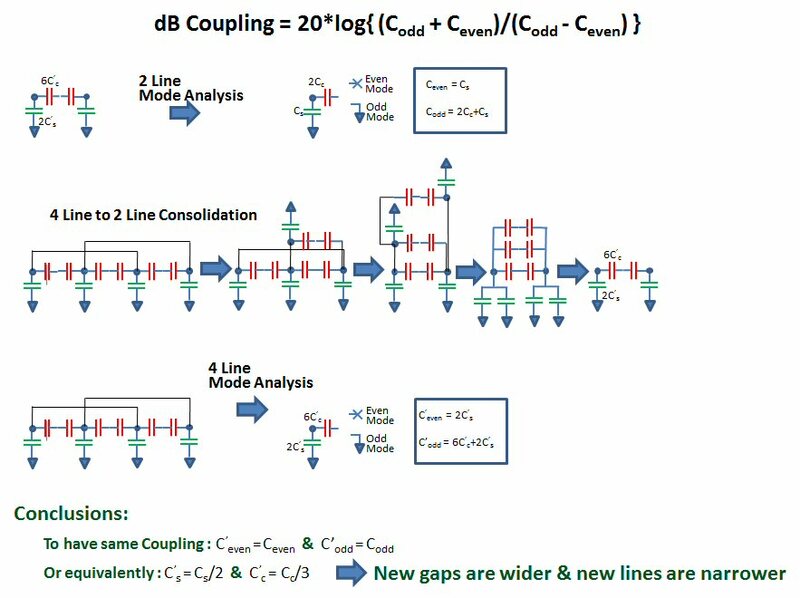 For coupling equation to be correct the modes must be equal – impedances must be considered. The idea below is to show the process and technique by simplifying some details. Capacitances in the figures are per unit length. Mode analysis is not explained.